Composable bracelets by Nomination are original, high quality jewellery for men, women and children. 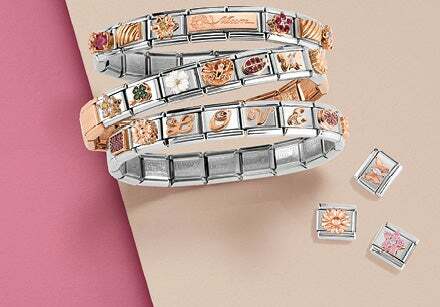 Personalise the stainless steel bracelet base with Links for every occasion: choose from among the vast offering of Links with symbols, letters, charms and pendants to create one-of-a-kind jewellery that’s all about you. Each Link tells a story through its precious details in sterling silver, gold, rose gold, gemstones and enamel. Remember an unforgettable trip with Links dedicated to flags from every country. Give a lucky bracelet adorned with birthstones for each zodiac sign. 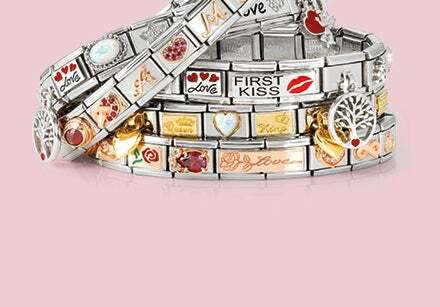 Choose a friendship charm for the Composable bracelet to give to someone special, or one of the many Links dedicated to love for the man or woman in your life. For your personalised bracelet, you can choose Classic Links to create elegant, classy jewellery, or Double Links to double your sentiment. Delicate, precious and elegant, rose gold is the perfect metal for jewellery dedicated to a special woman. So many Composable bracelets are embellished with this shiny material. Choose premade bracelets with a rose gold base and stainless steel Links with shiny details, or bracelets decorated with Links with symbols, letters, and engravings in rose gold. This metal goes perfectly with light coloured gemstones and can be combined with the more classic yellow gold, and it also sits nicely with sterling silver. Discover the collection of Composable bracelets in rose gold, just for you or as a gift to a special lady. Composable bracelets celebrate life’s most important moments, thanks to phrases dedicated to the people you care about and to precious symbols which recall and represent the most important things in life. 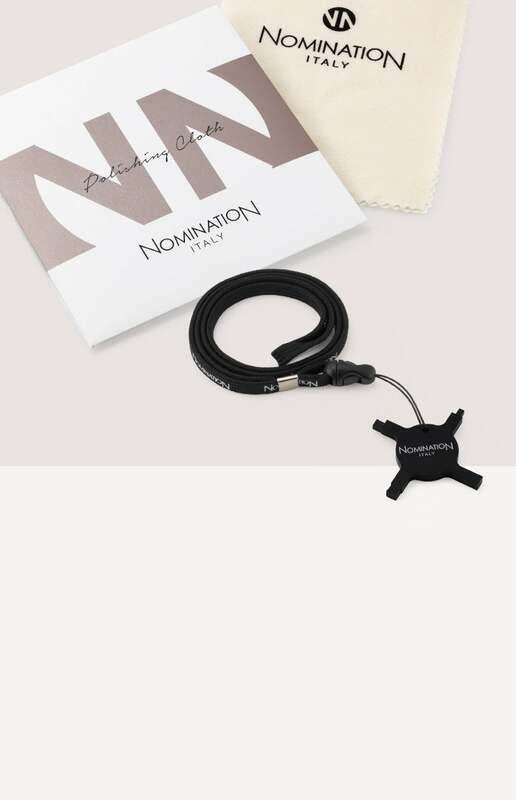 In particular, Nomination has created numerous Composable bracelets dedicated to family to celebrate our happiest moments: the birth of a baby boy or girl, the arrival of a new pet, our family roots. And there are those which remind us of our special bond with our sister, others dedicated to our relationship with Mum and so on: there are tons of Composable bracelets dedicated to family. Discover them all and choose the one which best reflects you. Looking for a gift that’s close to the heart for someone you love? We’ve got some great ideas. Among our Composable bracelets you’ll find many precious options able to convey your special message. Celebrate every occasion with the right bracelet: the Links always tell a story. There’s the romantic bracelet to give to your guy, one to wish a happy birthday to your best friend, a graduation gift for your grandson, and one to thank your mum for everything she does for you day after day. And many of them cost between €50 and €100: so everyone can have their precious moment at any budget. Give a special message to your loved ones: choose a Composable bracelet.